Roberto Carlos to visit Nigeria March 28 – Royal Times of Nigeria. 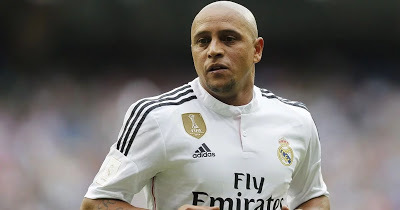 Former Real Madrid and Brazil left full-back, Roberto Carlos, will visit Nigeria on March 28 to launch the Real Madrid Foundation Football Clinics for schools. Head of the Real Madrid Foundation Football School and Clinics, Nigeria, Yomi Umar disclosed this during a visit to the Minister of Youths and Sports, Solomon Dalung, on Wednesday in Abuja. Umar who is also the Director, SPR Luxury said his team was in Abuja to inform the minister on the foundation’s activities and the visit of the Real Madrid legend. Umar said SPR Luxury, in partnership with the Real Madrid Football Foundation and Danjan Sports (UK), would establish a football clinic and school in Nigeria.